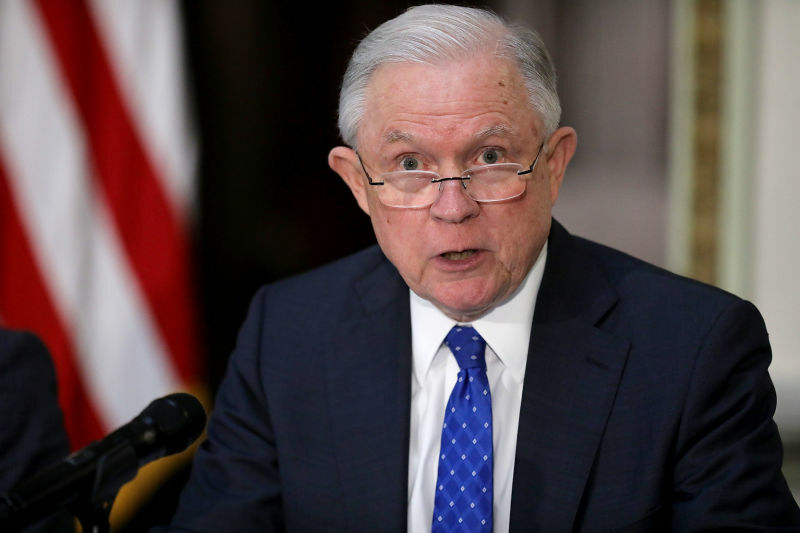 The only reporting, as it were, that CNSNews.com did on Attorney General Jeff Sessions' speech last month to the right-wing group Turning Point USA was a blog post by Craig Bannister highlighting Sessions mocking speech codes and other alleged pampering of students purportedly designed to "create a generation of sanctimonious, sensitive, supercilious snowflakes." In doing so, Bannister and CNS censored the actual news from Sessions' speech: his joining in a crowd chant of "lock her up" --"her," of course, meaning Hillary Clinton -- which, as it happens, came right before the student-mocking section of his speech, meaning that there was no way Bannister could not have known about it. Perhaps realizing that it's not a good look for the nation's chief law enforcement officer to endorse the imprisonment of a political opponent, Sessions was forced into some damage control afterwards, lamely declaring that "I perhaps should’ve taken a moment to advise them on the fact that people ... are presumed innocent until cases are made." Apparently, that's not news at CNS, despite the fact that it still claims as part of its mission statement that it "endeavors to fairly present all legitimate sides of a story." If it makes a Republican administraton look bad, it must not be a "legitimate" story at CNS. Just because Leo Hohmann is no longer a WorldNetDaily reporter doesn't mean that WND has stopped indulging in its usual fits of anti-Muslim fearmongering. US Bank Stadium was the site of the 2018 Super Bowl. Moore, of course, is not-so-subtly suggesting that all Muslims are terrorists because they say they phrase "allahu akbar" and are even more prone to being terrorists because they are chanting it in a group, that that it was likely that "death to America" would be chanted next. In reality, actual Muslims point out that "allahu akbar" is a phrase uttered by every Muslim and has no malicious intent whatsoever. Moore then highlighted a call from the Council for American-Islamic Relations to increase security for the event due to "increased hostility toward the Muslim community" with the usual attacks on CAIR as "founded by Hamas" and an "unindicted co-conspirator" in a long-ago case. So, something of a middling grade for Moore on the fearmongering stuff, far from WND's best work on the subject (that would probably be falsely and maliciously blaming Islam for a measles outbreak when the real culprit was WND's anti-vaxxer buddies). Yes, WND's diminished financial state has left it so it can't even hate Muslims the way it used to. We've documented how the Media Research Center's potrayal of news coverage of President Trump as relentlessly negative is utterly bogus because it is so narrowly defined -- a specific set of statements on 3 news shows, as opposed to an analysis of all coverage on all news shows and channels -- that its only purpose is to provide Trump and Republicans a meaningless talking point. Speaking of being unable to say anything nice about someone; at the top of his show following the handoff, Lemon attacked a Media Research Center study that found 90 percent of broadcast network evening coverage of the President was negative. Lemon emphatically argued that reporting negatively was really the only way the media could cover the President. “How are we as media to report positively on something that’s negative,” he shouted. “If that is indeed true, then you need to counterbalance that and weight it against what comes out of this President's mouth and what he's doing.” Clearly, Lemon didn’t do his homework or else he would know exactly how we conduct our studies. 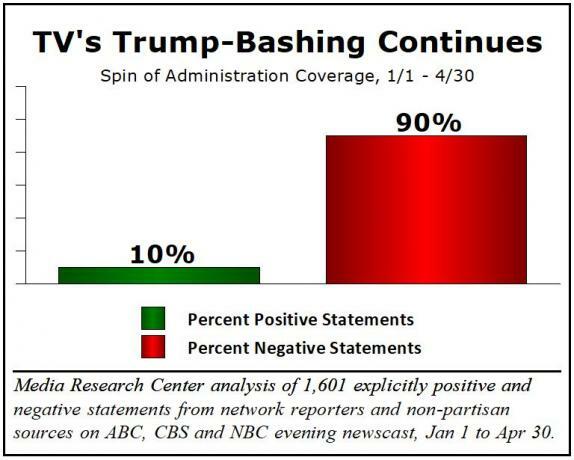 As MRC Research Director Rich Noyes explained in the study, “our analysis of ‘spin’ tracks only explicitly positive and negative statements from reporters and non-partisan sources; it excludes neutral statements as well as statements from partisans such as Trump praising himself or Democrats criticizing him.” It’s the evaluative statements from what’s supposed to be a neutral press that’s counted. But "a narrow tracking of 'explicitly positive and negative statements' on just three TV shows that deliberately excludes the vast amount of neutral coverage" isn't how Fondacaro first described the study; he said it "found 90 percent of broadcast network evening coverage of the President was negative." It's only when a non-conservative pushes back against that bogus, overbroad talking point -- which, again, was crafted to be spread in the way Fondacaro first described it -- is he forced to concede how narrowly drawn it actually is. And, as far as we know, nobody at the MRC has ever lectured Trump or any conservative for misleadingly extrapolating that talking point the way Fondacaro lectured Lemon. After all, Brent Bozell and Co. want that misrepresentation coming out of the mouths of conservatives -- but they don't want anyone to read the fine print. 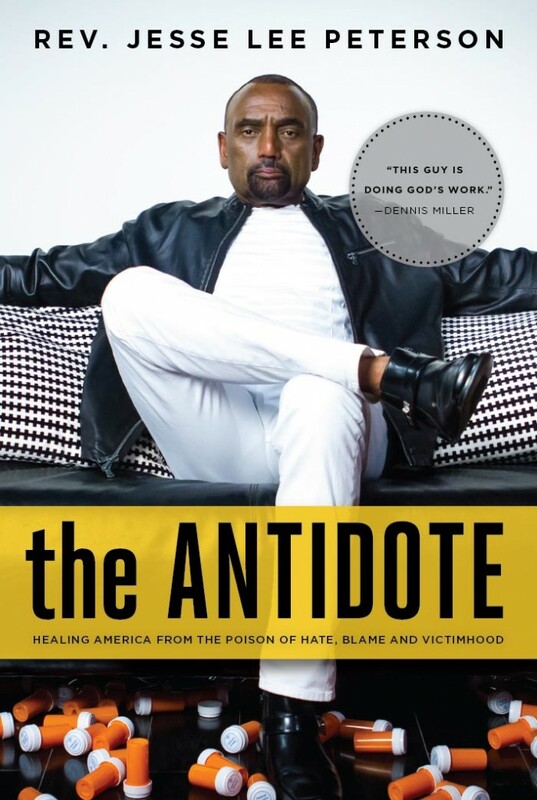 It's been a while since we've seen WorldNetDaily columnist Jesse Lee Peterson lecture blacks like he was a white supremacist and praise President Trump as the "great white hope." Take it away, Jesse! Interestingly, Peterson somehow restrained himself from making "great white hope" reference. Perhaps he finally figured out that the racist origin of the phrase might be a tad offensive to the audience to which he's condescending. In fact, as we documented when WorldNetDaily made the same charge, the Obama administration did not "interfere" in the 2015 Israeli presidential election. The State Department gave the Israeli group OneVoice $350,000 to promote peace efforts between Israel and Palestine; the intrastructure that money helped build was later used by the group during the election to criticize right-wing President Benjamin Netanyahu. Investigations found no wrongdoing -- no grant money was ever spent in the election, OneVoice complied with the the terms of the grant, and there was no limitation on post-grant uses of the resources. Nobody has ever proven that Obama gave the money to the group for the specific purpose of influencing the election, which is what Levin is alleging. 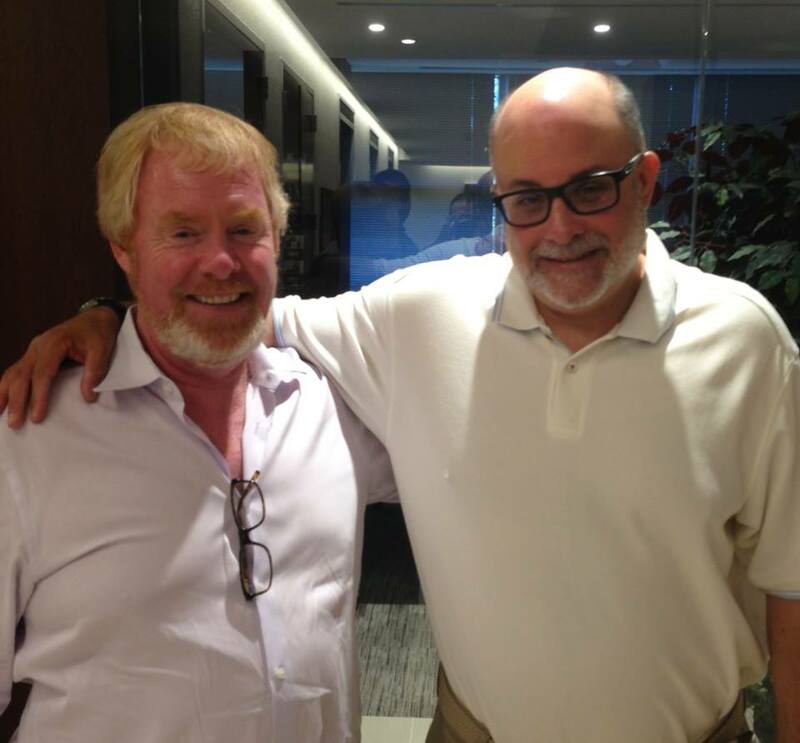 But, like the White House press office, Levin has a special relationship with CNS and its Media Resarch Center parent, so fact-checking his work is optional and likely discouraged. John James, a West Point graduate, stormed to victory in the Republican primary for U.S. Senate [in Michigan] this week and will now face three-term incumbent Democrat Debbie Stabenow for the seat November 6. His stature in conservative circles has been rising for months and his victory was fueled by an endorsement by President Trump who said James is a future star in the Republican Party. In his race with businessman Sandy Pensler, James secured nearly 55 percent of the vote with well above 500,000 ballots cast for him. Where is the racist GOP we have all been told so much about? I mean after all John James is an outspoken conservative, combat veteran, and notably he is black. The left has been trumpeting a message for a very long time that the president is a racist and is a supporter of white nationalists. How could that be true with his enthusiastic support for John James? It is just as likely that if the president had thrown his support behind Pensler the outcome would have been different, but he didn’t. The president lined up to push James to victory in what otherwise appeared to be a toss-up. This should sink the notion that Trump is a racist but of course it won’t and the left leaning national media outlets will simply ignore James' impressive victory. During an obnoxious appearance on the Wednesday edition of HLN’s S.E. Cupp Unfiltered, CNN chief White House correspondent Jim Acosta opened up and showcased his true disdain for Trump supporters after they booed and heckled him at a rally the night before. Americans should not be treating their fellow Americans in this way. But unfortunately what we've seen and this has been building for some time since the campaign,” he whined. The hypocrisy was breathtaking for two main reasons. First, there had been many a CNN employee that had condemned Trump supporters as racist rubes. Don Lemon is one name who fits that title. As someone who used to work on large stage productions in college, those barriers are primarily put up to protect the equipment. It’s generally understood that the elitists at CNN and their affiliates look down their noses at Trump supporters in the heartland, but this level of open discontent is not too uncommon. And yet they're still struggling to rack their brains with why people dislike them. 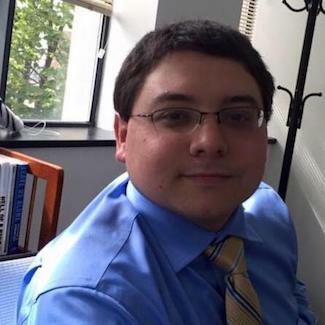 Fondacaro also huffed that "Acosta asserted that the reason those Trump supporters hated CNN was that they were essentially brainwashed by Fox News and other conservative media outlets." But since he and his employer are are among the chief instigators of anti-CNN hate, he had no further comment. Note that Farah doesn't answer his own question -- he never actually says how much traffic Google sends WND, other than that it's somewhere less than "10 percent." Nor does Farah explain why WND deserves more traffic from Google, whose function is to serve up relevant links to its users. Does Farah think Obama birther freakouts, Seth Rich conspiracy theories, fawning pro-Trump stenography and warmed-over press releases are relevant to people seeking fair, balanced newsworthy content? In his usual column-ending pitch for cash, Farah implies that WND somehow represents the best of America: "If the 'Speech Code Cartel' wins, America loses." We suspect America will continue to do just fine if WND doesn't survive. We've documented how CNSNews.com has spent the past decade promoting the bogus claim that federal funding to Planned Parenthood is "fungible" and thus, somehow, pays for abortions despite the fact that the money is earmarked to specific women's health programs that have nothing to do with abortion. CNS is certainly not about to stop spreading the lie now. The Protect Life Rule “would ensure compliance with the [Title X] program’s existing statutory prohibition on funding programs in which abortion is a method of family planning,” the White House said in a statement. “The American people have repeatedly and clearly voiced their opposition to taxpayer funding of abortion, but for years, their will – expressed in the statute itself – has been ignored,” the SBA List said in a joint comment with the Life Issues Institute. “We wholly support the Protect Life Rule, which draws a bright line between abortion and family planning in the Title X program,” the press release stated. And for good measure, Augros furthered the falsehood by stating that Planned Parenthood's "latest annual report (2016-17) shows that it received $543.7 million in federal government reimbursements and grants, and performed 321,384 abortions that year" -- as if juxtaposing those numbers prove that the money directly pays for those abortions. The next day, in an article complaining that Planned Parenthood has received Title X funding, managing editor Michael W. Chapman stated the falsehood more directly: "However, money is fungible and grants for one purpose can free-up funds for another purpose. As House Rep. Chris Smith (R-N.J.) has said, 'Today, hundreds of abortion clinics are co-located at Title X family planning facilities. For example, 266 of Planned Parenthood’s abortion clinics are subsidized by U.S. taxpayers in the Title X program to the tune of about $56 million each year.'" Just because a Republican congressman said it doesn't mean it's true. Chapman offered no evidence to back up the claim, nor did Smith in the Catholic News Agency commentary to which Chapman linked. That's the entirety of the article. Did Huckabee or TBN pay WND for this fawning promo about a fawning interview? WND certainly needs the money, and it certainly reads like a paid ad. In other words, this article is lazy at best and unethical at worst. And it doesn't exactly help make the case that WND deserves to live. 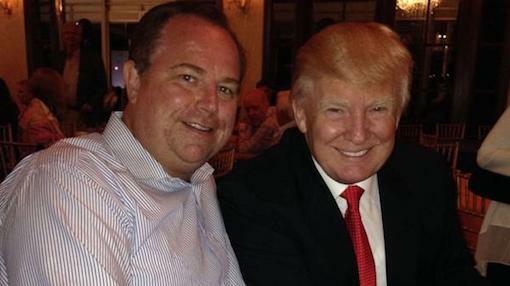 Apparently, even Newsmax chief Christopher Ruddy -- who's been using his friendship with President Trump to raise his own profile and that of the news operation he runs, as well as serving as a Trump apologist -- has his limits on Trump sycophancy. Ruddy declared in his July 29 column that "I strongly disagreed with the White House's decision this past week to remove a CNN reporter from the press pool covering the president," even though "the president is justified to be angry with the press. The billions of earned media in negative attacks on candidate Trump never ended upon his assumption of the presidency." As Jefferson predicted, President Trump has benefited by this overly aggressive media. Informed citizens see through it and are making a "public judgement." Trump's approval ratings are up and rising in the wake of these incessant media attacks. His strong record speaks for itself. But it is never easy to turn the other cheek, especially when questioned about personal matters relating to close friends facing prosecution. The president is much more empathetic than is acknowledged. His emotions and reactions can be raw. The banning of the CNN reporter, however temporary, is not a wise move. In fact, it is potentially a dangerous step. The CNN ban may seem small to some. Still, the press was right to sharply criticize the move by the Trump White House. Most of Ruddy's right-wing media comrades -- or even most other people at Newsmax -- would never concede the idea that Obama was a patriot. 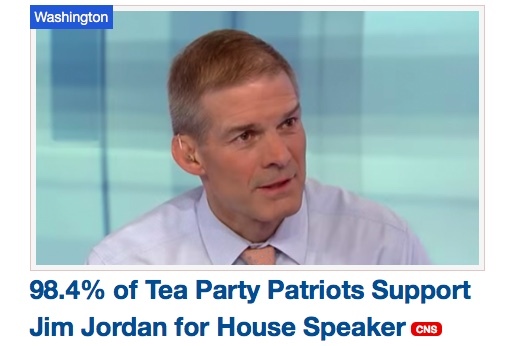 CNSNews.com managing editor Michael W. Chapman wrote a ridiculously fawning Aug. 10 piece touting how "A new poll by the grassroots organization Tea Party Patriots shows that 98.4% of its supporters would like to see conservative Rep. Jim Jordan (R-Ohio) as the next Speaker of the House of Representatives, should the Republicans hold onto Congress after the mid-term elections in November." After copiously quoting sycophantic quotes about Jordan from the Tea Party Caucus, Chapman then made his own appeal, noting that "Some of the Republicans who say they support Jordan for Speaker include Freedom Caucus Chairman Rep. Mark Meadows (N.C.), Rep. Matt Gaetz (Fla.), Rep. Dave Brat (Va.), Rep. Andy Biggs (Ariz.), former Virginia Attorney General Ken Cuccinelli. 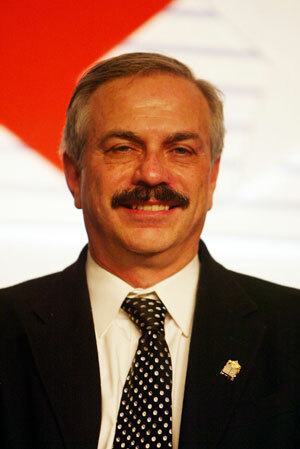 The conservative group FreedomWorks has also announced its support for Jordan." Chapman also promoted Jordan's platform: "In a July 26 letter to Republican members of the House, Jordan said the GOP members should push for 'actually repealing Obamacare,' reforming welfare across-the-board, building a real wall along the U.S.-Mexico border, making the 2017 tax cuts permanent, ending taxpayer funding of Planned Parenthood, and 'enacting meaningful, immediate spending cuts to ensure that we never see $1 trillion deficits.'" Chapman declared in his final paragraph: "Jim Jordan, 54, is in his sixth term in Congress. He is married to Polly Jordan." Never mind that Jordan's first name and length of service in Congresshad already been established earlier in the article; apparently Chapman simply copied-and-pasted that from elsewhere and didn't bother to edit it. What Chapman didn't report: the fact that several former athletes at Ohio State University, where Jordan served as a wrestling coach, have accused Jordan of knowing about sexual abuse of athletes by a team doctor but doing nothing about it -- despite those accusations being around for a good month before Chapman's article appeared. In fact, CNS has never published a story -- "news," blog or otherwise -- regarding the allegations against Jordan. It has, however, published numerous articles featuring Jordan, mainly in his role as member of a Republican-dominated House committee looking into links between Russia and President Trump -- including a separate July 27 article on Jordan announcing he planned to seek the House speaker position. The only thing that even alludes to it is an Aug. 17 post (again, well past a month after the accusations first became public) that is only a headline, a video and a link to a post at sister website NewsBusters complaining about a Democratic ad likening Jordan to Joe Paterno, who also allegedly turned a blind eye to abuse allegations. In other words, CNS is very much attuned to Jordan's importance in the current political scene. Which means that the only possible reason CNS has failed to report on the abuse allegations regarding Jordan is that it is deliberately censoring them from its readers. 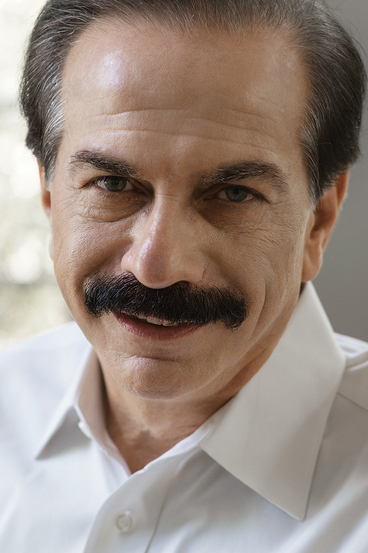 For most of this month, WorldNetDaily editor Joseph Farah has been railing against the "digital cartel" of Google and Facebook that he claims is running out WND out of business. (He has spent zero time explaining why WND's shoddy, fake news-laden editorial practices are in no small part to blame for that.) In the process, he's turned even more conspiracy-obsessed than usual. WND has seized upon a "confidential, 49-page memo for defeating Trump by working with the major social-media platforms to eliminate 'right wing propaganda and fake news'" to blame for WND's woes. 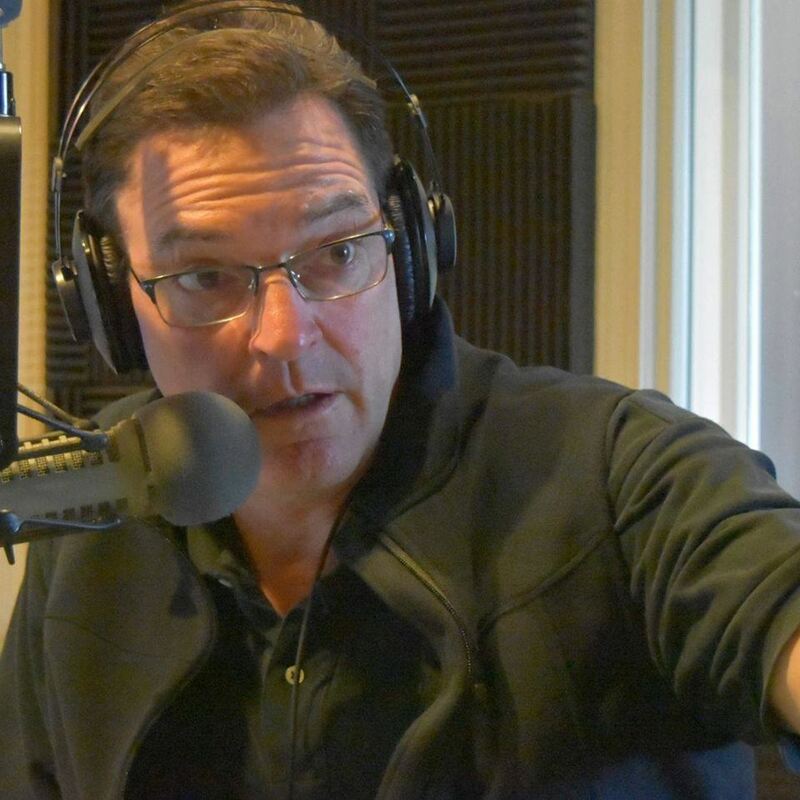 Art Moore, one of the few remaining WND employees, declard that "The recent wave of censorship of conservative voices on the internet by tech giants Facebook, Twitter, YouTube and Apple mirrors a plan concocted by a coalition of George Soros-funded, progressive groups to take back power in Washington from President Trump’s administration." Of course, Farah has been making stuff up -- in the form of the copious amount of fake news WND has published in the past couple years alone -- and that is one big reason why WND is in its current, ongoing fix. Farah continued his conspiratorial ranting in his Aug. 23 column: "You think it ends with Alex Jones being muzzled? Forget about it! This insidious cabal is already coming after WND, Dennis Prager, Breitbart.com and individual voices you’ve heard about like Diamond and Silk, for crying out loud. We have Democrat members of Congress trying to ban the sale of certain books at Amazon.com. Where does this insanity stop?" When Farah admits to the error of his ways and WND stops publishing fake news, maybe? Farah, however, sounded a little desperate in his plea for to raise $100,000 this month in that column: "We’re hunkered down and many are working without pay. I’ve subsidized WND with all the money I have and there is no more left. We thank you for getting us nearly 50 percent of the way to our total so far – but it’s not what we had hoped for with just a few days remaining. Please pray for us and shower us with your most generous donations to keep us alive and fighting for truth." Traffic is down, revenues have plummeted 75 percent since January 2017. We’re hanging on by a thread. Almost daily since August 1, I have brought you these reports and pleas for help in the form of prayer and financial sustenance. I’m so grateful to those who have answered the call. Yet it’s unlikely we will reach our goal of $100,000 this month. It alarms me that Peter Strzok, the disgraced FBI agent so instrumental in the Deep State attacks on President Trump, set a GoFundMe goal of $150,000 after being fired less than two weeks ago, and has raised more than $450,000 in that time, with a revised goal of $500,000. No, not really, Joe. Strzok is getting funding because he is being correctly seen as the victim of a political attack led by the president of the United States that cost him his job and career because Trump needs a scapegoat to distract from his own behavior. WND is not getting support -- Farah conveniently omits that it has already taken in more than $200,000 in donations in a fund drive earlier this year -- because Farah and Co. cling to conspiracy theories instead of fixing what's wrong with their editorial product. Also, remember that Farah also apparently lowballed numbers in the last drive in an apparent effort to create some urgency for people to donate, so things might not actually be as dire as he's portraying. Ultimately, Farah's problem that for all his begging and conspiracy-mongering, he has yet to offer a compelling reason why WND deserves to live. If he can't -- and as long as he takes refuge in conspiracy theories and refuses to take responsibility for all the fake news WND has published -- then it doesn't. We already know the Media Research Center attacks any media outlet that lacks a sufficiently pro-Trump bias. Butit also hands out gold stars on occasion to news stories told in a way that supports the MRC's pro-Trump agenda. Seymour was disappointed, however, that it "remained a question for CNBC" that the economy would achieve the 3 percent annual growth Trump has predicted. In an Aug. 9 post, Nicholas Fondacaro ranted that NBC covered the story of Melania Trump's parents becoming citizens, having "speculated that they received special treatment in the process and possibly used chain migration, a program the President opposes, even though the process still exists and still legal. "Fondacaro pretended he could divine the purported emotions and agenda of the reporter and anchor involved, calling anchor Lester Hold "seemingly offended" by the story and insisting that the reporter"gloated" while reporting it and is "often resentful." In sharp contrast, CBS Evening News was congratulatory to the First Lady’s parents. “Melania Trump's parents became U.S. citizen today! Viktor and Amalija Knavs, natives of Slovenia took the oath at a ceremony in New York City. They had been living in the U.S permanent residents,” reported anchor Jeff Glor. Not only was CBS welcoming to the Knavses but they completely separated them from their story on Trump’s immigration policy. They kicked off the broadcast by reporting on a federal judge who blocked the administration from deporting asylum seekers who were already in the judicial process. The news brief on Melania’s parents was the second-to-last story they covered that evening. So that's what the MRC wants -- uncritical praise of Trump. Remember that the next time it offers what it claims to be "media research."